With nearly hundreds of headphone brands available in the market today, it can be quite a challenge to distinguish the best from the worst ones. In fact, there are countless headphone brands and way too many headphone models, popular or not, making rounds in various local shops and online stores all over the world. No matter your budget or the style you’re looking for, you will surely find several that will meet your needs. This is because some brands specialize exclusively in developing headphones for professional / studio purposes, whilst others produce all types of headphones. It’s been over a century since the first pair of headphones came out. In fact, in the late 1800’s, around the 1880’s to be more precise, the first known headphones were created. However, these weren’t made to listen to music. These headphones were quite heavy at about 10 pounds, made with just one earpiece, and are used by telephone operators. It was in the 1890’s when headphones that look quite like stethoscopes were made so that opera fans can listen to music in the comforts of their home. It was only in 1910 when the first pair of headphones that look quite similar to those that are around today was manufactured. Credit goes to Nathaniel Baldwin who sold his creations to the U.S. Navy; too bad he never patented his design. As years went by, headphone designs have greatly evolved. In 1937, Beyerdynamic released the first dynamic headphones – the DT-48. More than a decade later, AKG produced one of the most popular pairs at that time, the K120. Fast forward to the early 2000’s, Apple released the iPod. This very popular music player came with those signature white earphones called the EarPods that sounded decent and fit fairly well. A lot of music enthusiasts were then seen with those white cables rather than extra large headphones. After all, these Apple EarPods can offer pretty much the same sound quality and are much lighter as well. A turning point in the headphone industry or what can even be considered a milestone was the time when Dr. Dre came out with Beats in 2008. Together with Jimmy Iovine and Monster, Beats by Dr. Dre was manufactured and released to the public with a promise of superior sound quality with such rich bass, along with a sleek and modern design that can make any music enthusiast swoon. With some of the biggest names in the music industry endorsing Beats, the launch became successful. The response was overwhelming and Beats was greatly supported by the general public despite its massive price tag, compared to other headphones during that time. That “b” logo on cans grew to be so famous and until today, these headphones continue to make waves among audiophiles and music fans alike; especially since it moved from Monster to Apple. While some would claim that Beats are overrated, it is undeniable that the brand has paved the way for a new breed of headphones. Today, headphones are no longer just considered accessories to your audio equipment or portable music players; headphones have become gadgets on their own. To come up with a list of the best headphone brands of today, we have taken into account over 700,000 reviews of the most popular models of the top 100 headphone brands. These reviews come from regular consumers, audiophiles, critics, musicians, music professionals and more. We believe that regardless of what industry experts say, ultimately it is the experience of customers / regular users that matters the most – Customer is King as they say! Weighing on sound quality, comfort, durability, design and price, the 60 headphone brands below made the cut. Because manufacturers can give you such attractive and impressive descriptions on their advertisements, it is always best to consider customer reviews and feedback. Those who actually paid for the product, used it and voluntarily left their ratings and reviews are the ones who will most likely give more accurate and honest brand and product descriptions. And the brands you will see below are those that are popular and considered best because of the most honest reasons. 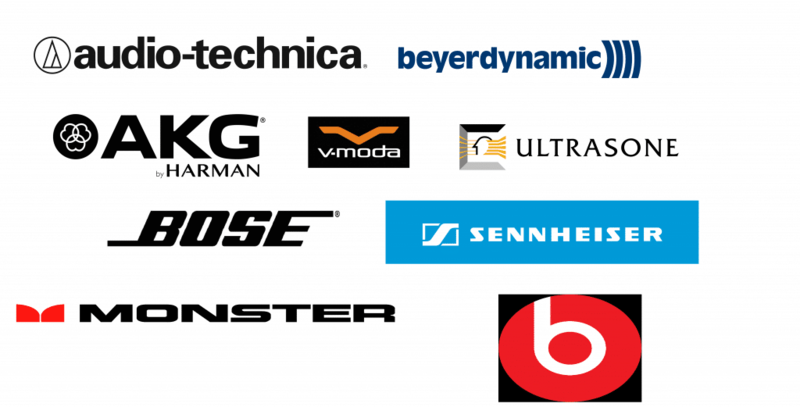 The top positions of the best headphone brands – with the highest and best customer reviews and experience – are primarily dominated by companies that specialize in producing primarily audio equipment for DJs and audio professionals, such as Audio Technica, Beyerdynamic, Bose, Sennheiser and V-MODA. 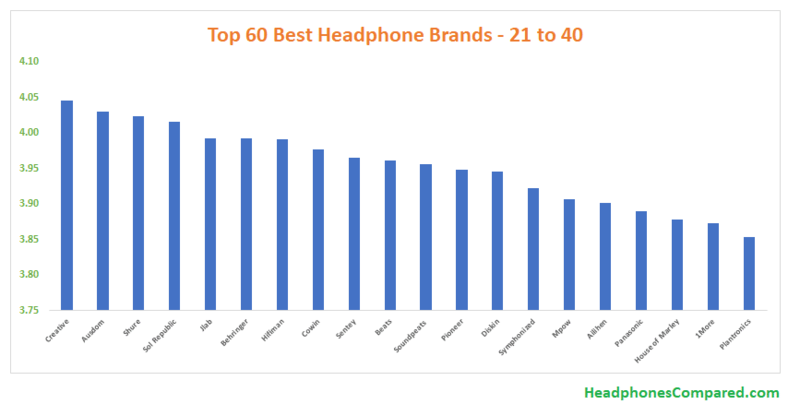 According to our analysis, the best headphone brand – Audio Technica – sells headphones that according to users / customers are far superior in sound performance than many well-known brands such as Beats, Monster or Bose, and yet usually cost significantly less. For instance, the flagship Beats model Solo 2 is around 25% more expensive that the outstanding Audio Technica M50x – which has literally received thousands of very positive reviews and ratings from customers and industry experts alike! 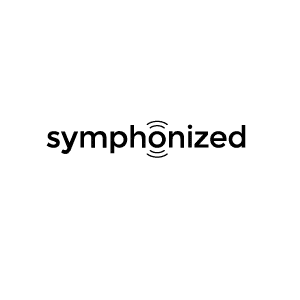 There are a lot of small and not well-known headphone companies / brands, which have produced some outstanding headphone models, such as Symphonized with its flagship NGR earbuds and Wraith 2.0 Bluetooth over-ear headphones. One of the main questions that people are looking an answer to is.. What’s the best headphones of the best brands? That’s a really good question that is not easy to answer. As mentioned, certain brands specialize in specific types of headphones. For instance, Audio Technica, which according to our analysis is the best headphone brand in terms of customer and expert experience and satisfaction, mainly produces headphones for DJs and audio professionals, so obviously, if you are looking for a pair of stylish wireless headphones with bluetooth connectivity, Audio Technica might not be an option for you. 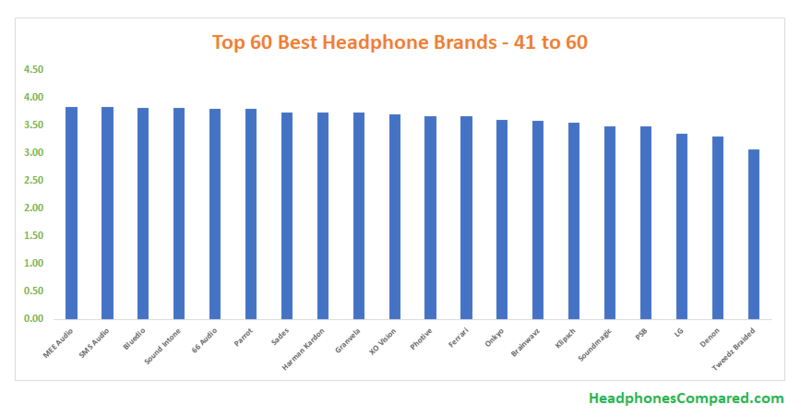 Having said that, we have produced a table which shows the top 10 best headphones of the top 10 best headphone brands. The Top 20 best headphone brands are primarily (and not surprisingly!) companies that specialize in producing equipment and products for DJs and audio professionals. The only exceptions are Bose, Monster, which produces high-quality headphones with high-tech features such as wireless, noise-cancellation capabilities, Sony, Philips and JVC (mainstream consumer electronics companies) that produce a wide array of headphones, and indeed many other types of electronic products. When it comes to headphones, Audio-Technica is probably the first brand that comes to mind. Specializing in professional, DJ and studio headphones, Audio-Technica started quite small in Tokyo, Japan over half a century ago in 1962. The brand consistently lives up to its current “always listening” tagline as they truly listened to their market and made sure they delivered to their demands. It was never a hit or miss for Audio-Technica. This manufacturer has received countless industry awards as they focused on comfort, durability, style and most importantly, topnotch audio quality. They continue making their products available in a wide range of prices to remain accessible to customers from all walks of life. Many online retailers’ selling pages on Audio-Technica are full of positive reviews coming from very happy customers who mostly rave about how each pair of this brand’s headphones can give you a guarantee of amazing sound quality, no matter its design or the series the pair belongs to. If you don’t like risking on a pair of cans from an unknown brand and you want to be assured that you will be getting what you are paying for and possibly even more, Audio-Technica will certainly not let you down. Very closely trailing behind Audio-Technica when it comes to consistent sky-high customer reviews, Beyerdynamic has always been a favorite among many music enthusiasts. While portable professional, DJ and studio headphones are also their specialization, interpreters, intercoms and those used for broadcast and TV are also made by this manufacturer. One of the oldest headphone brands that maintained its success through the years, Beyerdynamic will turn a century old in less than 10 years. In the audio industry, this brand is a veteran. 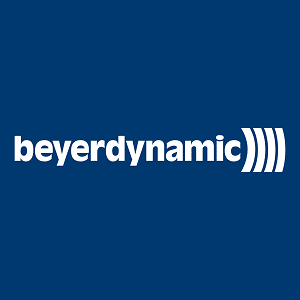 Beyerdynamic’s roots were planted in Berlin, Germany where it was founded in 1924. It now holds its headquarters in Heilbronn, Germany. It started as a family business and less than a decade short of a century later, it is still owned and managed by the Beyer family. Those who chose to invest on a pair from this brand have nothing but great things to say, whether they’re simple music lovers or professionals. From unbelievably high quality sound to incredible durability to extreme comfort, every dollar spent on a pair of Beyerdynamic headphones is absolutely worth it. Based in Framingham, Massachusetts, Bose managed to become one of the most in-demand brands when it comes to audio equipment. With over 50 years in the business, this company founded by Dr. Amar G. Bose has grown into a 10,500-strong corporation that’s best known for its noise cancelling headphones and a wide range of other audio systems and speakers. There’s a Bose for your home, for the office, a professional music studio, your car and more. The brand has expanded to great limits and continues to make the best audio products in the market, headphones included. Even before noise-cancelling headphones became popular, it was Dr. Amar G. Bose who realized how important these are especially for those who travel. He was on a flight to Europe in the late 1970’s when he tried out the provided headphones on the plane. With the sound of the engine roaring in the background, he can barely enjoy his music. Soon enough, Bose noise-cancelling headphones from Bose were created. Currently, Bose has a wide range of active noise-cancelling headphones including the QuietComfort series, Space Shuttle Headset, Aviation Headset and many more. 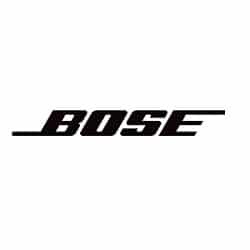 To cater to the needs of the rest of the market, Bose has also come out with circumaural, supra-aural, in-ear and mobile headphones, Bluetooth headsets included. Try looking into any random list of top headphones and you will probably find a Sennheiser model there somewhere. From budget headphones for the regular consumer to more expensive cans for the studio professional, Sennheiser made their products available for the general population to enjoy. Celebrity DJ’s, artists and musicians proudly use the Sennheiser brand and while the brand is far from being labeled as overrated or overhyped because celebrities are spotted using it, it is good to mention that it has remained a household name simply because of its consistent superior quality, extreme comfort, great designs, durability and most importantly, the brand keeps their prices competitive and reasonable. 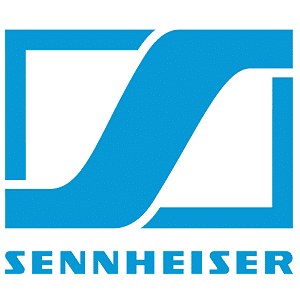 As Sennheiser would put it, their goal is to provide the best possible sound experience to their audience. Through the years, they remain consistent in their “Pursuit of Perfect Sound”. Based in Hollywood, California where all the glitz and glamour are, it’s not even a wonder why professional DJ and producer Val Kolton first developed innovations and patents for fashion headphone lines for DJ’s also known as the Kolton Technology. He frequently traveled to Italy for research and in 2006, the first 33,000 pairs of high-fidelity comfortable headphones (both over ear and on ear) that come in 11 colors were finally launched. 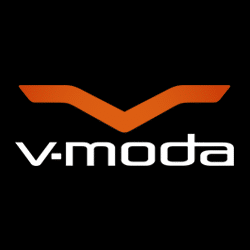 Eventually, the company became known as V-MODA. Probably the most notable among the many milestones of V-MODA over the past decade is its collaboration with Apple in 2007. The first third-party headphone manufacturer for the Apple iPhone and iPod was V-MODA through the Vibe Duo product line. In 2010, V-MODA’s M series made for modern audiophiles was developed and soon launched the year after in 2011. With the brand’s unstoppable success, their offices, factories and sales channels have extended to various countries that spans through several continents. Its headquarters are still in Hollywood but Val Koltonis now holding office in the V-MODA design studio in Italy. As early as 1978, Monster began manufacturing and marketing over 6,000 products that are mostly audio and video cables. Founder and CEO Noel Lee originally built audio cables until the company has venturedinto other audio products as well. It was in 2008 when Monster became a household name. It was this year that the first series of Beats by Dr. Dre were made in collaboration with Monster prior to become an independent brand or division now under Apple. Truth be told, the challenge for Monster was the usual feedback of many customers and critics that their products are overpriced. However, with all the innovations they do with their headphones, superior audio quality, very impressive and fashionable designs and extreme comfort, the price have always been justified. Aside from Beats by Dr. Dre, other notable collaborations from Monster include Heartbeats with Lady Gaga in 2009, Diddybeats with PDiddy in 2010 and designs crafted and made with basketball superstars Lebron James and Yao Ming. innovation as well as design and elegance. They pride themselves on delivering outstanding sound experience in each and every one of their sound systems, whether it is for personal entertainment or professional excellence. You can find a wide range of products manufactured by this company. 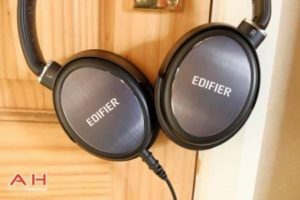 With over twenty years of experience under their belt, Edifier has grown from a small team of audiophiles to a leading international audio solutions company. Their award winning designs are bold and intuitive to use. Their version of wireless headphones and gaming headsets are especially what set this brand apart from others. From the foldable design to the virtual surround sound, their headphones can be named as some of the best in the market. Edifier is also committed to giving back to society. They use some of their proceeds to help children with hearing impairment and provide scholarships to young talents. So not only you will get a high-quality headphone, you will also take part in supporting this noble cause. The founder of Grado is a master watchmaker, Joseph Grado. He established the company in Brooklyn, New York in 1954. The current CEO and President John Grado purchased the company in 1990. 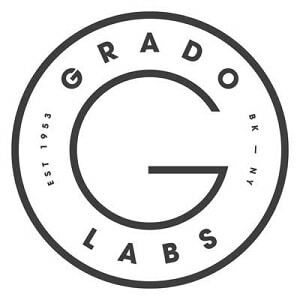 For over 60 decades, Grado has created a huge name in the headphone industry and each pair they release is meticulously crafted and impressively built, which earned them countless loyal customers and supporters. Perhaps it is their choice in focusing on headphones and cartridges, which allows them to put more time and effort into making the best products. The specialties of Grado are high-fidelity, supra-aural and dynamic open-air headphones. Among its most popular models are those found in the Prestige Series, Reference Series, Statement Series and Professional Series, as well as In-Ears and many more limited edition and specialty headphones. become a giant in consumer electronics, gaming and a whole lot more. 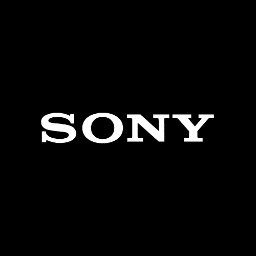 From regular earphones and earbuds to full-sized headphones, Sony has also maintained its position in the market as one of the top-selling brands. With so many headphone models through the years, it could be challenging to point out which one is number 1 as Sony has been consistent in producing only the best. There’s a pair of Sony headphones for everyone. According to thousands of reviews from consumers and critics, Sony headphones are quite consistent when it comes to durability. Sound quality varies though with some models better than others. However, you can still feel assured that you will get fair sound quality even for cheaper Sony cans. Philips is a very well-known multinational, headquartered in Amsterdam (Netherlands), which specializes in producing high quality consumer electronic products. Philips has a wide array of headphone models from inexpensive earbuds for running and working out, to top of the range high definition over-ear headphones for mixing and mastering music in a professional studio. Some of Philips’s top-notch headphones include SHP9500S hi-fi precision stereo headphones, the SHB9850NC/27 Wireless Noise Canceling Headphones and the A1Pro/27 Professional DJ Headphones, which were designed in co-operation with the Dutch DJ and record producer Armin Van Buuren. Philips has also produced quite a few economical models such as the SHB5500WT/27 Wireless Bluetooth Headphones and the SHL3000BK Headband Headphones. AKG, which originally meant Akustische und Kino-GeräteGesellschaftm.b.H. (Acoustic and Cinema Equipment), is an Austrian manufacturer that was founded in 1947. 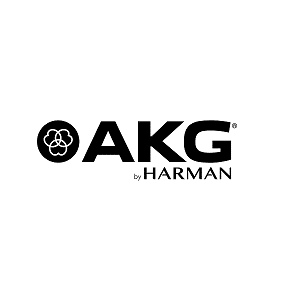 Now known as AKG Acoustics, aside from headphones, the brand specializes in wireless audio systems, microphones and many other accessories for all kinds of consumers, professionals included. It was in 1949 when the first K120 DYN headphone model was produced by AKG. AKG also takes credit for the first open-back and supra-aural headphones, the K50 model, released in 1959. Among the many headphone models released by AKG, the K812 is currently its flagship model. Available in varied prices, you can get some of the best AKG cans for less than $100. Ron Morgan, Sr. was the founder of Westone Laboratories, established in 1959, Divide, Colorado, USA. Its current headquarters are held in Colorado Springs, Colorado, with Jason Lockwood as President and CEO. 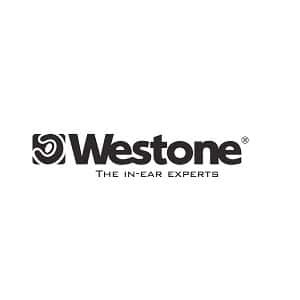 Westone Music Products takes credit in inventing the very first in-ear monitor for musicians. They also took part in designing and manufacturing Shure’s E1 and E5. Westone rightfully claims a spot in the top headphone brands because as their company’s tagline says, they are “The In-Ear Experts”. 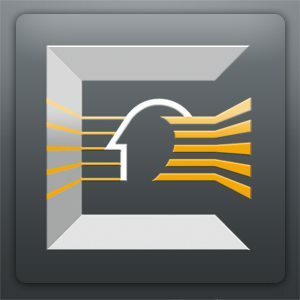 More than just for audio entertainment and supplies for consumers and professionals, the brand also offers custom earmold products, audiology supply, hearing protection for personal, digital or industrial use, as well as military earpieces. Consumers have greatly praised Westone due to their expertise when it comes to in-ear headphones that work impressively for all kinds of listeners. Compared to the first few manufacturers that came before this, Ultrasone is a fairly young brand as it was founded only in the early 90’s. However, with over 2 decades in the headphone game, Ultrasone seems to be here to stay. Founded in Germany with manufacturing facilities in both its founding country and in Thailand, Ultrasone has received support from music lovers and even professionals from all over the world. Ultrasone features several headphone series including the Editions, pro, hifi, DJ and in-ear headphones among many others. Not very cheap pairs at all, you should be ready to spare a few hundred dollars if you plan on getting a pair of cans from Ultrasone. For that price though, you are guaranteed topnotch performance, power and durability. 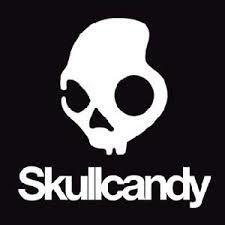 Skullcandy is known for its fun, hip and colorful designs that cater to just about any kind of consumer and professional there is. They’ve created partnerships with athletes, artists, celebrities and sports enthusiasts, which have probably helped increase their popularity from their headquarters in Utah to the rest of the world. Aside from the general consumer market, Skullcandy targets outdoor action sports demographics such as skaters and snowboarders. Their reach has spanned across all continents and their products, from the best Skullcandy earbuds to full-sized headphones have gained a lot of praises from all kinds of customers. What most likely allowed them to stay strong despite strong competition coming in through the years is their ability to offer their products at very reasonable prices. You can get a pair of very stylish Skullcandy cans that surely won’t disappoint. 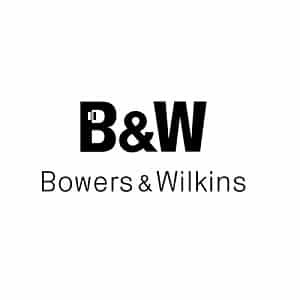 Bowers & Wilkins has been in the business of audio equipment for 50 years now. Since then, there are a number of home and car audio systems, headphones, speakers and more that have been released to the market. More recently, the company added iPod speakers to their wide range of products to cater to the needs of the general population and a large percentage of their market. Today, Bowers & Wilkins has several popular headphones in their collection. The P7 features over-ear headphones featuring the most advanced drive unit technology created by Bowers & Wilkins’ expert engineers. The P5 wireless offers the same audio quality and impressive drivers but adds the convenience and portability of high-quality wireless streaming. The P3 is very lightweight and simple yet the sound quality is still undeniably superior. If you’re one who prefers in-ear headphones, the brand also offers the C5 Series 2.
company from Japan. “The Perfect Experience” is the motto of the company founded in September 1927 in Kanagawa Prefecture. 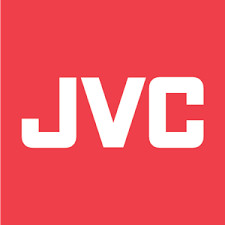 In 2007, JVC and Kenwood Corporation started an alliance to consolidate their management and development in the Car Electronics and Home Audio departments. This brand mainly sells their audio accessories, including headphones, in Europe. Your music, our passion, they said. This translates to the many types of headphones they produce. There are wireless headphones, sports, noise cancelling, in ear, Gumy headphones, over ear, on ear, kids headphones, and JVC’s very own specialty, Xtreme Xplosives Headphones. Both customers and audio professionals who have decided to purchase from this brand have posted a lot of great reviews online and in person. High quality audio with sleek design are the some of the things you will definitely get from any of JVC’s products. 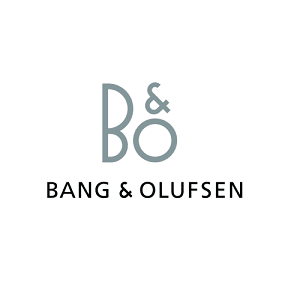 Bang & Olufsen, also known as B&O is one of the biggest headphone brands in Denmark. Its popularity has reached wide lengths and spread throughout other parts of the world. As a manufacturer of television sets, various audio products and more, B&O headphones have become popular due to its constant pursuit of perfection. In fact, since its founding in 1925, the brand continues to take pride in their creation of acoustic art through meticulous building and calibration done by their craftsmen by hand. Currently there are B&O headphones in all shapes and sizes – from in-ear to on-ear to over the ear headphones. Sticking to the sleek and classy designs which uses more of neutral colors of black, grey and white, B&O headphones is well-loved by those who want to have the best audio experience while staying stylish and simple at the same time. 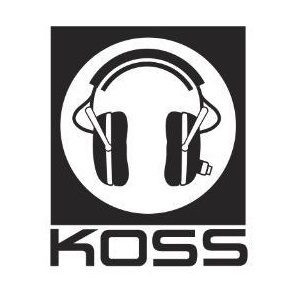 Headphones are the main products of Koss Corporation. Because the company focused on designing and manufacturing great headphones, they managed to maintain their top position in the headphone industry. Since its founding in 1958, Koss has created a number of different headphone models that caters to the needs of just about every individual. There are budget pairs and ones that professionals will be more than willing to invest in. The more notable models of Koss are the ones with vintage designs and other unique looking pairs. If you’ve seen Radio Shack headphones in-store, these are actually Koss headphones that were simply rebranded for the Radio Shack store. With great sound quality, durability and comfort, there’s no wonder why this American brand has stayed as one of the top choices among consumers. this company’s origin story. In 2008, the founders, Sankar Thiagasamudram and Alexander Rosson, met with Pete Uka. At that time, they realized that the specialized flexible circuit materials that Uka was developing for NASA might be perfect for headphones. Soon, Dragoslav Colich joined the team with his 30+ years experience in designing planar drivers. From there, the LCD-1 headphone was born, followed by LCD-2, LCD-3, and the higher-efficiency models like LCD-X and XC. Audeze’s proprietary planar magnetic driver is worlds away from the cone drivers boasted by most headphones in the market. This is why many audiophiles and music industry professional never hesitate to use Audeze’s products. So, if you are looking for a headphone that will truly give you a professional sound quality, Audeze will not let you down. wireless receiver for speaker, home stereo, and Bluetooth over ear headphones. They believe that exceptional audio should be available to everyone, everywhere, without a hefty price tag accompanying them. Whether it is for an active outdoor use or a cozy inside entertainment at home, Avantree feels that their Bluetooth solutions will provide users with utter audio freedom. Most of Avantree’s headsets sports an active noise cancelling features that can be turned on and off with a simple flick of a switch as well as foldable frame. Aside from its wireless stereo quality, these headphones are also ultra light and durable. Avantree creates a user friendly interface with hands free capability. If these are the qualities you want from a headphone, don’t hesitate to make Avantree your number one brand for headphones and audio equipment. Truth be told, Creative probably won’t be the first brand that comes to mind when you are shopping for a pair of stylish and high-powered headphones. Yes, they may have taken the world by storm when it comes to speakers, music players and other computer accessories including web cameras, but as soon as other brands grew in popularity, many of Creative’s best products were left under the shadow of these bigger brands. However, there are still countless consumers and professionals who stayed with Creative and the company remained strong with a line of new products available to the market until today. This Singaporean brand has stayed as a top choice due to the consistent durability and impressive audio quality of their headphones. 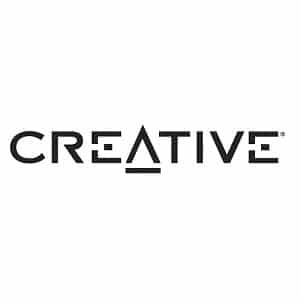 From in-ear to Bluetooth Wireless to high-powered over-the-ear to performance gaming headphones, Creative has a pair for all kinds of consumers. Enjoy smart life with Ausdom. The way this brand design their products is quite unique compared to other brands. 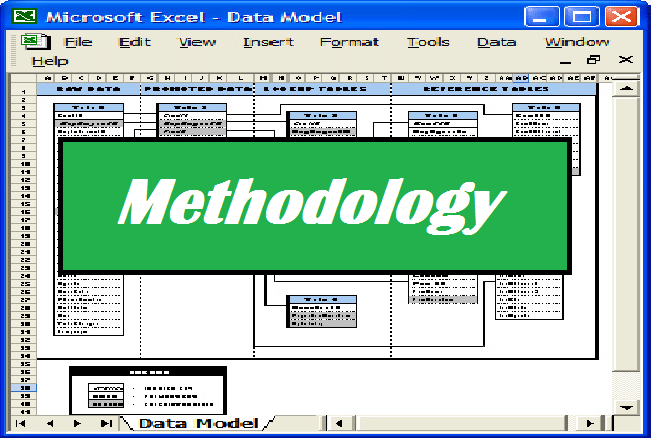 Their designers and engineers will study in detail the user’s habits when using each product. Then, they will analyze the results and, combined with their creativity and experience, will design something that will provide the customers with a more convenient, efficient, and valuable product. As a company, Ausdom advertises itself to be consumer-centric. They believe in openness, sharing, and win-win solutions to encourage growth and progress within the company. 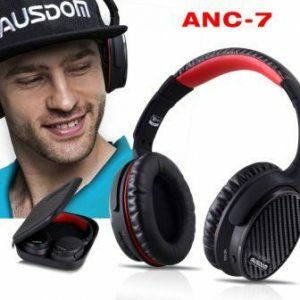 The variety of headphones offered by Ausdom proves this point. They provide both wired and wireless Bluetooth headphones, as well as over ear, on ear, and in ear types. Consumers can also choose between headphones dedicated for sports, games, or music, in accordance with their needs. In conclusion, if you are looking to be blown away by choices, look at what Ausdom is offering. Any music professional most likely owns or has tried at least one Shure audio equipment. 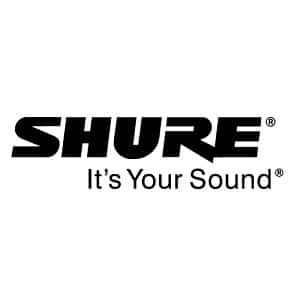 The brand is so respected even by the most popular producers and despite newer ones that came along during its 9-decade strong dominance in the audio equipment industry, Shure still remained consistent as one of the top choices when it comes to both professional and consumer audio electronics. Aside from microphones, monitors, mixers and more, headphones remain as one of the specialties of Shure and choosing a pair of cans from this brand always guarantees great value for your money. Despite being in the business for long, it was only in 2009 when Shure began offering around-ear headphones. Through the years, the selection expanded and in 2014, Shure on-ear portable headphones also became available. Currently, there are three major segments of Shure headphones – portable, studio/professional, and premium/audiophile. Founded only 6 years ago in 2010, San Francisco, California by Scott Hix, Seth Combs and Kevin Lee, Sol Republic might be a new brand but it has gotten so big that it became known in many parts of the world. It must be because of the connections and experience its founders have made throughout the years such as working with Beats Audio, Monster and more. Now a multi-million dollar company with a wide range of wireless, in-ear and full-sized headphones, Sol Republic has become the brand of choice of countless consumers and professionals, celebrities included. There are also a number of speakers manufactured by Sol Republic that have received much attention as well. Among the popular headphone models of Sol Republic are Tracks and Master Tracks. Owners and critics have praised the sleek design, comfortable fit and great sound quality that each pair of Sol Republic cans can offer. earbuds, headphones, and speakers. Since its founding in 2005, JLab has been devoting their efforts to help people go through life with incredible sound, inspired design, and innovative technology without having to blow through their life savings. 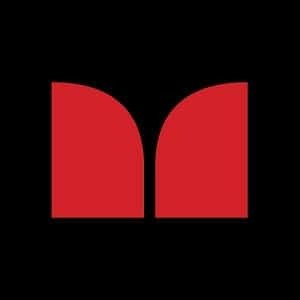 This brand is a perfect fit for music lovers who are laid back, full of upbeat energy, and participate in an active lifestyle. Headphones produced by JLab boasts various plus points, including amazing neon color and folding designs, Bluetooth connectivity, as well as a 13 hour battery life. JLab also produces an Active Noise Cancelling Headphones for those who are looking for exclusivity in the sound department. Their products have been covered by many well known media, such as Esquire, USA Today, GQ, Men’s Health and PC Magazine. Another thing that might make you want to seal the deal: JLab’s headphones are plane approved, subway approved, and train approved. Just like some of the brands that have so far been included in this list, Behringer is consistent in making other top lists when it comes to headphones and other audio equipment. From being founded by UliBehringer in Germany, 1989, the brand now has a worldwide reach. Their products are now made in China but the German manufacturer still consistently meets the expectations of their consumers by ensuring high quality materials used and durable built each time. 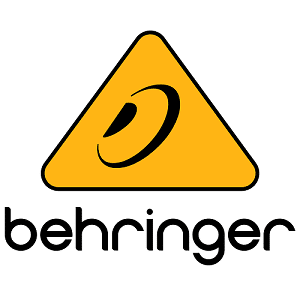 Behringer has received multiple awards through the years. Slowly but surely, they gained the trust of their target market and their headphones remain a top choice among regular consumers and audio professionals alike. Owned by the MUSIC Group, there’s a wide variety of Behringer audio products and accessories available in the market today from headphones to musical instruments, amplifiers to microphones, wireless systems to power amplifiers and so much more. recognized by media the calibre of TIME, Forbes, and Wired. 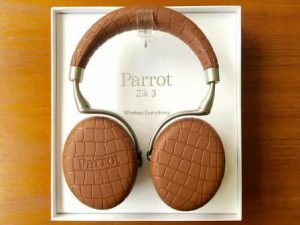 Founded by Dr. Fang in 2007 in New York, the company quickly released its first planar headphone. In 2010, they successfully developed the first generation planar headphone into a planar magnetic headphone, which is acknowledged as a headphone that features a state-of-the-art driver technology. The most sought after product by HiFiMAN is perhaps the HE-400S. It is a planar magnetic headphone that has been anointed as “The Best of The Best” by Writers’ Choice Awards and the Product of the Year by Headphone Guru in 2015. HiFiMAN claims that this product delivers a lifelike audio with superior clarity and detail, as well as an extended bass and wide sound stage. Any audiophile will surely be appreciative of these qualities, and so should you! working on the world’s first vibration driven wireless speaker. Their first product, the powerful Bluetooth speaker, was launched in 2007. Since then, Cowin has become the largest manufacturer for vibration technology and systems in the world. This technology replaces traditional speaker membranes with a vibration driver. Coupled with the surround sound feature, the audio precision produced by this technology will satisfy any music lover, even the most demanding ones. 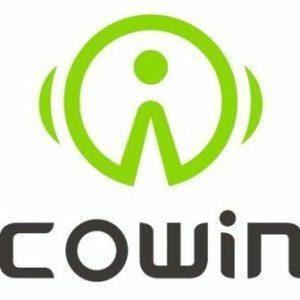 Cowin manufactures only two kinds of headphones, the E-7 and E-7 ANC. Both are engineered for audio quality and designed for comfort, with 30 hours battery life and a fast charge. In both models, the earcups can also be twisted to a flat position so as to help you travel easier. The difference lies in the noise cancelling feature. The E-7 ANC boasts an active noise cancelling technology. In this model, there is a switch on the earcup that when engaged can shut out the noise from the outside world completely so users can immerse themselves in the music. in 2001, they have been dedicating their resources to create innovative, high quality components to enhance the performance within the IT industry. Their core business includes manufacturing components to construct and build PCs, including Award Winning accessories for PC gaming industry. Headphones manufactured by SENTEY have been enjoyed by many video game enthusiasts all around the world. They are designed with four key principals in mind: innovation, quality, performance, as well as customer support and service. As of now, SENTEY has an international distribution chain lined up to provide quality products and assistance wherever they are needed. SENTEY’s headphones boast features like titanium-plated diaphragm, foldable headphone with a deluxe carry case, and a Bluetooth-operated headphone with up to 15 hours battery life. Optimized for gaming, these headphones are quality meet with affordability. It seems like only yesterday when Beats by Dr. Dre took the world by storm. Endorsed by music celebrities and more and getting through criticisms due to its unique design and massive price tags, Beats surely went a long way from the time it was founded by Dr. Dre and Jimmy Iovine in 2008. Initially partnered with Monster, Beats is now an independent division under Apple. With a whopping 1.5B USD reported revenue in 2013, all the hate that was probably created by competitors anyway have become irrelevant. Truth be told, Beats continues to be the preferred brand of many professionals, celebrity musicians, artists and regular consumers. The B logo has become a style icon and each pair of cans made by Beats is always guaranteed to sound good, feel good and look good. and high quality acoustic products. 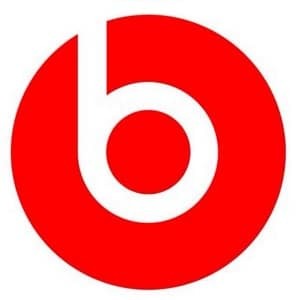 Ever since its establishment in 2013, this brand has been consistently distributing Bluetooth headphones, wired headphones, and Bluetooth speakers, among others. 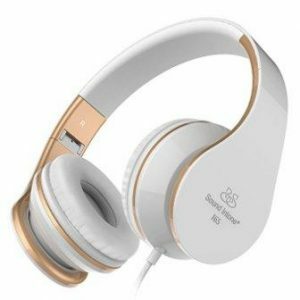 Their mission is to deliver these superior products to customers around the world, and so they have been nurturing good business relationships with many trustworthy manufacturers who have been known to producing world famous brand headphones. SoundPEATS’ famous wireless headset is called the A1 Pro which can be connected via Bluetooth 4.1. This system enables quick transmission and stable connection. But the real reason this headphone can be considered as a beast is because just with a 2 to 3 hour charging time, you can enjoy up to 25 hours of music playing time. If this kind of endurance is what you are looking for in a headphone, head over to SoundPEATS to see further specs. Founded in 1938 by Nozomu Matsumoto, Pioneer has since made a huge name in the consumer electronics industry. A year before the company’s founding, Matsumoto has already developed the A-8 dynamic speaker. With multiple collaborations with different companies and corporations, Pioneer has maintained it success and decades later, it has proven to remain as one of the most established electronics companies. Pioneer headphones are very popular with many DJ’s in the world. In fact, there are professionals and even groups that call themselves Pioneer DJ’s. The reason behind is because Pioneer DJ is actually a division of the business that focuses mainly on DJ equipment. Headphones made by Pioneer are highly regarded by consumers because of the belief that if the top DJ’s are endorsing it, then it must be good. 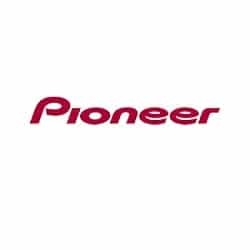 It is good to mention though that Pioneer DJ came to be in 2015 when Pioneer sold its DJ equipment business division to KKR. The quality of equipment, headphones included, did not deteriorate despite this change of management In fact, it has even become better according to very happy customers who own Pioneer cans. has been featured on many respected media outlet, including CNet, FOX, The New York Times, TechCrunch, and the Rolling Stone. 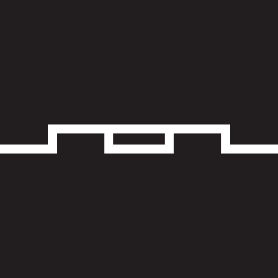 Diskin Tech is a company born out of a passion for music. Their headphones is a merge of superior quality with sleek design. Manufacturing a product with exceptional quality yet an ordinary price is what they do best. 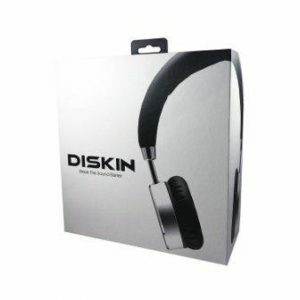 Diskin promises to deliver a headphone that will elevate your listening experience and help you the hear the adrenaline. Thanks to its lightweight quality, durability, and comfort, many customers who invested on a pair of headphones from this brand love to take it out during their routine walk or jog. The sound quality is extraordinary and many have reported that the bass response is accurate. If these are the qualities you are looking for in a headphone, then Diskin is the brand you’d want to invest in. If you want a unique pair of cans that surely stands out when placed side by side with other regular-looking headphones, then you should definitely check out those that are made by Symphonized. With their wooden designs as their main selling point, you are not only getting a fashionable pair but a superior sounding one too. Wood is known as a material with impressive acoustical properties. This is the reason why many of the best speakers, musical instruments and more have wood as a key element. You can choose from dark wood and light wood when selecting your pair of Symphonized headphones. While the models available are not as many as those of other leading brands, Symphonized has gained very positive reviews from consumers and professional critics because each one is consistently durable and stylish. There are also earbuds and Bluetooth speakers made from wood. Most importantly, as mentioned, the acoustical properties of wood make Symphonized headphones produce such crystal clear and crisp, rich and natural sound. why they dedicate their resources to create innovative products, ranging from Bluetooth receivers to iPhone headsets. Their operation is based out of several major cities of the world, including California, London, and Berlin. From these bases, they distribute their products to wherever the consumer is. Built to spoil your ears is Mpow’s headphones sole mission. 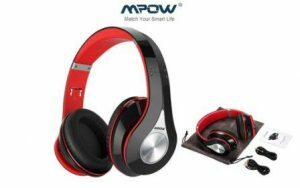 As with many other brands, Mpow offers a variety of headphones, including wired and wireless as well as a sport headphone. The wireless headphone can be connected via Bluetooth and is equipped with a personal equalizer. It is foldable and most has an up to 20 to 30 hours of continuous playback time. The sport headphones are the in ear type and features ear hooks to keep the audio device on your ears at all times. customers. They are a brand that primarily distributes headphones and earphones, and they believe that a superb audio quality must be balanced with an attractive design. Hence, they launched a group of 5 experienced designers coupled with the technological innovation staff to create audio equipments that marry fashion, elegance, and colorfulness with flawless audio reproduction and strict safety protocols. Ailihen’s headphones truly do live up to their mission. They come in a variety of eye catching colors, such as lime green, metallic pink, purple, and yellow. If colors aren’t your thing, worry not—they do have elegant black color in their arsenal. 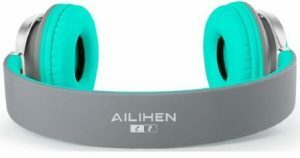 Ailihen does not manufacture wireless headphones. However, as for the features, you can expect to encounter a lightweight, foldable product all across the board with comfy ear pads and excellent speaker. Panasonic produces a wide variety of hi-fi products amplifiers, CD players, tape decks, speakers, turntables and more. Panasonic has also released quite a large number of headphone models, particularly under the Technics brand. While Panasonic is now just two years short of a century old, Technics was founded only in 1965. It went into hiatus for a while then revived by Panasonic in 2014. With their products available in almost all continents, it is no longer a surprise that Panasonic falls on one of the top 10 spots on this list. Aside from Technics though, Panasonic has also released a variety of headphones under the Panasonic brand name. Because of its popularity and Panasonic being a household name, it was easy for them to breakthrough the headphone industry and maintain success. With almost ten decades’ worth of research, innovation and experience in manufacturing electronics, Panasonic is now also known as one of the manufacturers of the best headphone models in the industry with focus on great sound quality, comfort and style. House of Marley is a brand that’s inspired by no other than the legendary Bob Marley. Its popularity may be attributed to the legions of fans of the late Jamaican reggae musician; however, many reviews from customers and critics also prove that this headphone manufacturer relies not only on the huge fandom but its designers and engineers have actually worked hard to produce very impressive cans and other audio products. House of Marley pairs can sell for hundreds of dollars despite other bigger brands because of the great sound quality it can offer. 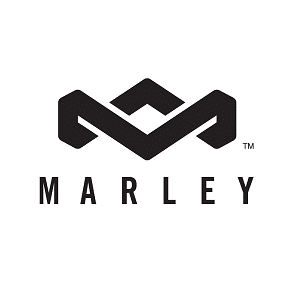 They offer in-ear, on-ear and over-ear headphones that are all comfortable and feature the best acoustics and the source of the brand’s pride, Marley’s “Signature Sound”. This “Signature Sound” can give you the smoothest audio with very powerful bass and precise mids with an energized high-end. Whether you’re an artist, a studio professional or a simple music enthusiast, Bob Marley fan or not, it won’t be difficult to fall in love with a pair of House of Marley headphones. 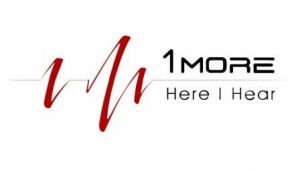 two consecutive years, 1MORE is the most awarded headphone brand in the market. It is acknowledged by Consumer Reports, PCMag.com’s editors’ choice, CNet, IGN, and many more. The company’s mission is to deliver music as it was meant to be heard to all music lovers everywhere. At the moment, 1MORE distributes their products globally to 26 countries and regions with the help of 3 Apple authorized stores, over 40 Hi-Fi audio reps and 3,000 brick and mortar stores in mainland China. 1MORE offers a level of luxury with affordability that cannot be matched by any other brand. If you are interested in investing in this brand, take a peek at their Triple Driver Headphones and the Spearhad VR Gaming Headphones. These products are guaranteed to blow your mind with their superior sound, designs, and features. If you are wondering what audio equipment brand the Fortune 100 companies are using, the answer is Plantronics. For over 55 years, this brand has been creating phenomenal audio experiences in order to support smarter working and better living. What distinguished this brand from all others is their innovative software that provides the leading solution to managing noise. Airline pilots, mobile professionals, music lovers, and gamers can expect to experience an enhanced performance with this brand. Their headphones are mainly divided into two categories: noise cancelling and sport headphones. The noise cancelling headphones are wireless, connected via Bluetooth, and mostly aimed at music lovers, mobile professionals, and gamers. On the other hand, sport headphones will do great for active jogger or runner as most of the products in this category have ear hooks to keep the earbuds in place while you are exercising. Whichever category you fall into, Plantronics is a brand many have chosen without regret. 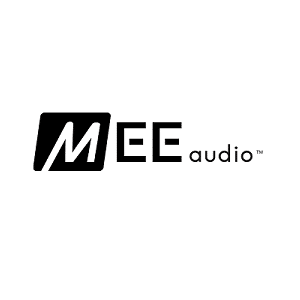 Fairly young with just over a decade in the business, MEE Audio specializes in crafting the best wireless, sports and high fidelity headphones that will cater to all kinds of consumers, young and old. The company focuses on sound quality, look and feel of each pair of cans to ensure the satisfaction of their target market. Since its founders are a group of audio enthusiasts as well, they made sure that music listening would always be at its absolute best with their products. Among their popular headphone products are their pairs from the Runaway, Rumble, Touch and Matrix series, among others. Everyone is given a chance to experience superior sound quality matched with fashionable cans through MEE Audio. known rapper and entrepreneur felt that there had to be better headphones than the ones already in the market. He couldn’t find it, and so he decided to create it. That same year, SMS Audio was acquired by Kono Audio. The company mainly focuses on manufacturing and marketing headphones. 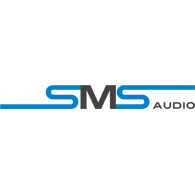 The products delivered by SMS Audio have been called a culmination of iconic style and unrivaled performance. Consumers can choose between a wired and wireless headphone and an in ear or on ear style. Most, if not all, the headphones produced by SMS Audio are sports headphones, which means that they are very suitable to use while you are exercising. Depending on the model, they come in a variety of colors, including but not limited to black, yellow, blue, and orange. If you are someone who refuse to sacrifice quality sound for an active lifestyle, SMS Audio may be the brand that grants that wish of yours. hearts of online shoppers and gadget enthusiasts. High tech features, stylish design, and a robust build are what setting this brand apart from others. 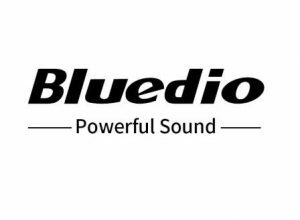 Bluedio focuses mainly on two types of techs, Bluetooth and audio. This brand operates from and manufactures their products in China since 2009, but it is a registered brand in United States. Bluedio categorizes their headphones into three types: Air, Turbine, and Victory. The Air type headphones boast a unique design that will be most suitable for those looking for a fashion audio equipment. These headphones are Bluetooth operated and have a USB charging interface. The Turbine models are the superior version of Bluedio’s headphones. Details and sound quality are fully upgraded in this model. The last model, Victory, sports an exclusive acoustics technology that makes the sound deeper, more powerful, and balanced. emerged and gained recognition in the recent years. The products produced by this brand excel in value as well as design, as Sound Intone mainly manufactures entry level audio equipment that gives customers the most bang for their buck. One of the most reviewed product from Sound Intone is the CX-05 On Ear Headphone. Many reviewers praise the headphone’s design. Despite the low price, CX-05 looks quite attractive in a simple black color and metal industrial kind of style with a stitched headband. The cord is braided rather than coated with a simple plastic cable in order to give it further protection. As for comfort and sound quality, both are very much adequate especially when you consider the price tag it comes with. Those who are looking for an affordable headphone without sacrificing sound quality will be very pleased with the CX-05. 2013, it wasn’t until a year later after they launched the BTS Sport Headphone that they received the well deserved acclaim. This headphone is a wireless audio equipment built specifically for users on the go who refuse to sacrifice sound, battery life, or wireless range. As of now, there are two main BTS headphone lines you can choose from: BTS Sport and BTS Pro. Both are wireless via Bluetooth technology. The Sport model has a 25 hours continuous music playback while the Pro model has 40+ hours. The BTS Pro also boasts the Motion Control iOS Smart App which basically is an equalizer that is free to download. It works with Apple Watch and any device that uses iOS. 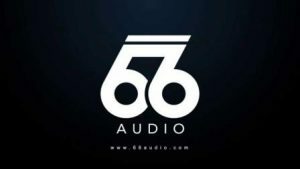 In conclusion, if you are an active or mobile audiophile, 66 Audio truly is a brand you should get to know further. mind. This company produces a variety of products, and focuses mainly on drones. Having said that, they do manufacture a headphone which quality will surprise even the pickiest audiophile. The Parrot ZIK 3 will give users the best sound in total freedom. It is wireless and ultra intuitive, as well as stylish thanks to Parrot’s collaboration with designer Philippe Starck. There are several different colors users can choose from. This headphone features an adaptive noise control, proximity detector, and a wireless charger. All of which certainly is not a common feature to be found in headphones manufactured by other brands. With 18 hours of battery life and touch control panel on the right earpiece, Parrot ZIK 3 can be the powerful headphone that accompanies you everywhere, every day. products is the Sades SA-708 Gaming Headset, which has received glowing reviews from critics. This model is perfect for all of you gamers out there who is looking for a headset with a good sound quality but is restrained by a budget. Despite its clunky design, the SA-708 boasts a top notch high end sound which essentially is what a gaming headphone should be able to do. Many users give a positive review for this product, especially in connection to the comfort level. They say the SA-708 still feels very comfortable even after six hours of continuous gaming. The mic attached to the headset also performs adequately as it will not pick up the sound of your breathing thanks to its specific position. Gamers who love a deep, well articulated bass should definitely add this product into their arsenal. bring to life several legendary audio brands, including Infinity, JBL, Lexicon, and Revel. Harman Kardon offers lifestyle audio solutions that redefine superior sound whether you are at home, on the go, or doing everyday activities. 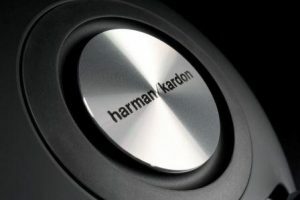 Harman Kardon already has over 60 years of experience in acoustic design and processing under their belt, so you know you’re in good hands when using their products. Harman Kardon’s over ear headphone line is called Soho. It is Bluetooth-enabled, giving users independence and freedom of movement. The ear pad is equipped with sensors and touch sensitive controls, which many have felt to be very convenient. The body is constructed from stainless steel with a premium stitched leather design. This headphone can also be folded and stored in the ultra-slim pouch to enhance security and portability. manufacturing, and distributing various audio products, including but not limited to headphones, earphones, mouse, LED light, keyboard, and accessories. Their mission is to give customers the highest standard of service as well as creating and finding a product’s value. 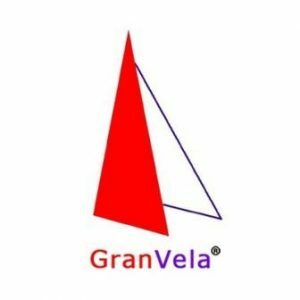 At the moment, GranVela distributes their products to 9 different countries, including the United States. GranVela’s version of headphone is wireless with advanced Bluetooth CSR Version 4.0 that produces high quality sound for as far as 33 feet away. It has an up to 8 hours of continuous playback time thanks to the rechargeable Lithium Ion battery. The design is definitely eye catching, especially with how the ear pads are constructed. Many customers love how balanced and crisp the sound reproduction is, making this headphone suitable for any kind of music: pop, electronic, even classical. video products, including headphones. All of their products undergo detailed scrutiny called Triple Protection. First, the product goes through heat resistance test done by their Quality Control Center in the United States. If it passes, this model is then produced at XO Vision’s factory under the close examination of the factory manager. Once they are all ready to ship, they are tested again by XO Vision’s inspectors in Hong Kong. XO Vision’s headphones are characterized by its infrared wireless technology as well as its folding design. The IR tech allows backseat passengers to get a clear sound from movies or music without disturbing others inside the car. The headphone also features a convenient auto shut off to conserve battery life. Finally, the brand XO Vision perfect for audiophiles on the go with a tight budget. that wishes to simplify life with their unique and smart products. “Listen, Power, and Protect” is their motto. This truly translates into their products, whether it is their earbuds or headphones, which users can take with them anywhere to hear the music the way the artist intended. 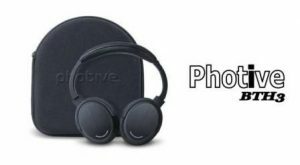 The highlights of most, if not all, Photive’s headphones are its advanced wireless CSR Bluetooth 4.0 connectivity, the convenient touch pad interface on the right earpiece, and the high resolution audio. The 40 mm Neodymium drivers will give you a deep bass and a rich clear sound, and they use a rechargeable Lithium Polymer battery which can play back music continuously for 12 to 15 hours. In conclusion, if you are looking for a sleek elegant headphone with superior sound and deep bass, Photive might just have a range of products that can satisfy your needs. 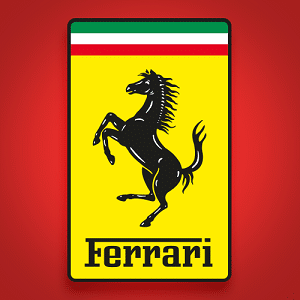 There are individuals who are such huge fanatics of the Ferrari brand and only a chosen few are fortunate enough to actually own a Ferrari vehicle. Whether or not you own a Ferrari or not, you can afford a pair of genuine Ferrari headphones. The earbuds made by this manufacturer aren’t as popular when it comes to ratings as compared to full-sized over the head cans. All these headphones still come with the signature CavallinoRampante (prancing horse) logo, with some that come in the usual yellow and black and others in silver. Ferrari headphones are expected to be as powerful as the four-wheeled vehicle and you’ll be surprised that despite not being an actual specialist when it comes to audio equipment, these pairs are quite competitive in sound quality. The best part? You can get a pair for a few hundred dollars, depending on the style of your choice. You can choose from black, white or even a shiny red pair of Ferrari headphones. section of a very long list of awards Onkyo has received for the excellence of their products. This Japanese company was established in 1946, which means they have over 70 years of experience in the audio world under their belt. This company is in alliance with various other famous audio businesses, such as Pioneer and Gibson Guitar Corporation. The broad headband design is very iconic and very specific to Onkyo’s premium headphones. You can of course choose between the wired and wireless type, but they all have the same breathable velvet material, touch sensing control panel, and supports high resolution audio. Onkyo also has a special outdoor headphones. It features a closed acoustic architecture in order to silence the loud background noise you usually encounter. 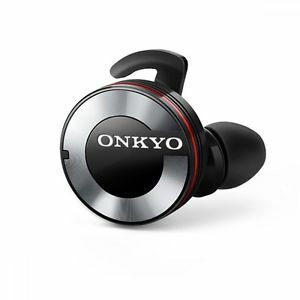 Onkyo also designs a special headphone for rock and metal music which has a particularly deep and well-defined bass. is a deeply personal experience, and that everybody should be able to enjoy it at an affordable price, no matter the genre or style. This company distributes their products internationally to many countries across the globe. Innovation and exceptional quality are their game, but their unique relationship with customers is what give them strength and success. One of the most unique headphones from Brainwavz Audio is the HM5 Studio Monitor Headphone. It has one of the biggest and most comfortable earmuffs available in the market. That, combined with the closed dynamic monitor, makes for a very sound proof headphone, resulting in a very precise and accurate sound production. This feature, however, is adaptable and customizable, so this product can also be enjoyed as your everyday headphone. 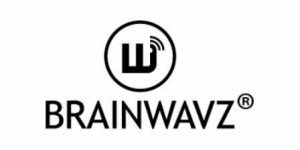 Brainwavz Audio also makes a children’s bluetooth headphone that comes in a variety of attractive colors. maverick design and built the legendary Klipschorn speaker with his own two hands. This is the speaker that proved that it was possible to reproduce a live orchestra inside a home, which eventually gave rise to speaker technologies that became very useful for generations to come. Sonically superior with unparalleled comfort is the tagline of Klipsch’s headphones. With over 60 years of audio experience, it is not hard to see why their headphones are far superior to any other brands. 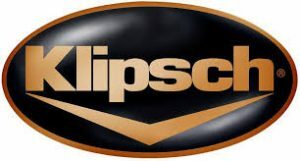 Klipsch produces several different types of headphones, wired and wireless, on ear and over ear, sport and gaming. Their gaming headphones, in particular, will satisfy even the pickiest gamer. It is compatible with virtually every gaming console in the market, and it has a Dolby Digital Decoding process and digital amplifier. Lastly, with an athletic mesh ear pads, you can play for hours on end surrounded by comfort. The company specializes in loudspeakers, hence the name PSB Speakers. Founded by Paul Barton in 1972, PSB has expanded their offers in audio equipment and now manufacturers some of the best headphone models ever created. Currently, some of the most loved models of PSB headphones by consumers and professionals alike are the PSB M4U 2 Headphones which are active noise cancelling headphones that look sleek and simple yet very comfortable to wear; the M4U 1 Headphones, which are high performance over-ear headphones, and if you prefer in-ear headphones, the M4U 4 Headphones can also offer high performance and powerful sound quality in a lightweight and durable pair of in-ear monitors. SoundMAGIC is generally more popular to consumers when it comes to in-ear headphones probably because they have a wide range of models to select from. What makes it a great choice aside from very impressive designs is because owners of SoundMAGIC in-ear headphones can attest to the fact that these are pretty good when it comes to noise isolation, comfort and durability. The best part is that you can choose from a number of earbuds that only costs less than $50. 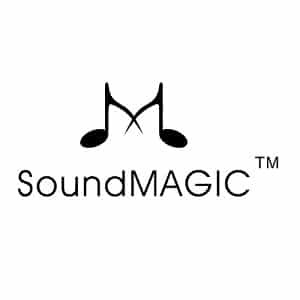 Of course, there are also SoundMAGIC over-the-head headphones that are equally appreciated by plenty of consumers and professionals. Though reviews are actually varying from very satisfied customers to those who think this brand is just okay, what remains consistent though is that these consumers say that these headphones “grow on them” and upon opening the box, you might not appreciate it right away, but after a certain burning in period, you will fall in love with your SoundMAGIC headphones. 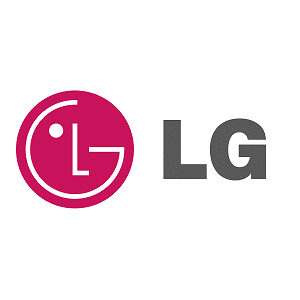 A Korean company founded in 1947, LG is a household name when it comes to electronics, household appliances, telecommunication devices and more. LG has ventured into pretty much everything electronic – air-conditioners, refrigerators, microwaves, stoves and ovens, smartphones and basic mobile phones, and so much more. The trust that LG gained from its consumers allowed them to expand further and now, they already have a good reputation in audio equipment too. LG headphones are not unheard of. Their most popular products are their Bluetooth headsets that are usually used along with mobile phones. Sleek and classy, some of their top products include the LG Tone Platinum, LG Tone Infinim, LG Tone Active and the LG Tone Ultra. 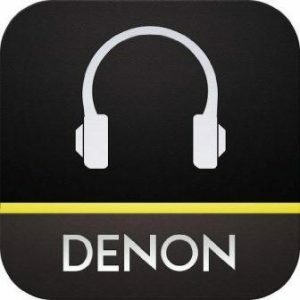 one of them is Denon, the Japanese electronics company that specializes in manufacturing both consumer and professional audio equipment. The company even have a specific word to explain why they are special: the Denon Difference. Each and every product they manufactured are crafted around these three words to fulfill one particular goal: to give users a heightened entertainment experience. Denon’s over ear headphones have a very unique design. You can spot them from afar among other similar headphones as the earpiece is housed by premium wood material. Its entry level product, the AH-D1200, has a 50 mm drivers which will produce sound with minimal distortion, even when you are outdoor. It is perfect for avid traveler and daily commuter as it is foldable and a carrying pouch is included with purchase. withstand the wear and tear of an active, adventurous audiophiles. Specially designed with travelers in mind, Tweedz make their cables in eye catching colors so that they are easy to spot even in the most cramped bag. The cable itself is made of a durable, high quality nylon material and is braided in order to reduce wire tangles. Tweedz’ headphones always come with three sizes of silicon earbuds so you can find your personal fit and get that noise isolating quality, enabling you to enjoy the music and relax even when you are on a noisy bus ride. The durability and simplicity of the Tweedz brand have been acknowledged by many well known media, such as Yahoo!, Pitchfork, and Rea Simple. Globetrotting audiophiles will find that Tweedz’s Braided Headphone is just what they are looking for in a travel companion. This was good timing! I was shopping for a pair of headphones for my nephew for his birthday, and had no idea whether one brand was better than another. I appreciate having it all laid out for me – even a graph! Now I can narrow it down to a couple of options and feel good about what I’m purchasing. Does it really matter among the top, say five brands? I’m thinking at that point they’re all pretty good. This is interesting, I have a pair of Bose headphones that I really like, and would highly recommend those, but I wish I’d had this list before I went shopping. This is one of the reasons I really like the internet. You can get the low down on anything before you part with you hard earned cash. Great article. I’ll definitely follow this website. Having tried a pair of Bose headphones in the past, I can easily understand why they are in one of the top positions on this list! The pair I tried were super high quality and I couldn’t hear anything outside of the headphones. I must admit that I’ve never come across V MODA before, nor their line of headphones, but I will be sure to give them a look when I next look to purchase a pair of headphones.